The business of dentistry is getting more and more difficult as time passes. Patients prefer to spend their money in other ways, rather than on regular preventative care. Eye-catching marketing from our competitors makes it hard to be seen in our busy world. Some patients are even heading overseas to get their dental work done rather than using the local dentist at home. Resolve have come up with a solution to the age-old problem of patient retention. We believe that to ensure you have an ongoing clientele of loyal patients, you need to future proof your business by locking patients into a regular schedule of preventative dentistry care at your practice. Similar products have been highly successful in the UK private sector for over 20 years. 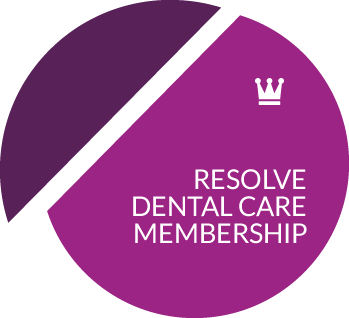 Resolve Dental Care Membership creates a win-win situation for you and your patients. Not only do your patients receive the affordable, regular preventative care that they need, you also have the security that you have retained them as a client for the future growth of your business. likelihood of the patient showing up for regular maintenance visits. On your behalf, we collect the monthly direct debits from your patients and allocate it to you in a monthly sum. Your patients dental health is a priority for us, and with Resolve Dental Care Membership, your patients can make their dental health a priority also. Resolve Dental Care Membership cares for your patients while also taking care of your future business. Its easy to apply; just fill out the application form! Questions? Call us on 1300 367 340 or send us a message today!